This is a classic anyway you want to see it. In Indiana, a Husband who is no longer living with wife in the same home is still being convicted not only for a crime he did not commit but also that took place in a home that he no longer resides. This is what happened to Marcus Tabb. 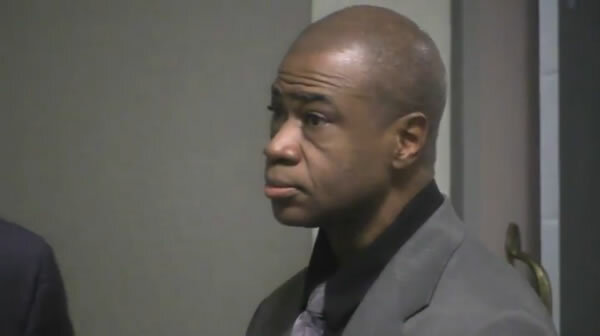 A group of jurors in Delaware found Marcus Tabb guilty of child neglect and he will likely be convicted to spend between 8 and 10 years in jail. why do you think he is in trouble? The jurost become convinced that Marcus Tabb knew about the acxtion of his abusive wife but did not do anything to stop it. What was the nature of the abuse from his wife Charlene Tabb that Marcus Tabb was no longer living with? Charlene Tabb who is Haitian was convicted back in June 2013 for the death of 5 year old causin Marie Pierre. She was also found guilty for mistreating her three siblings. Mezanmi, nou pa tande sa ki pase nan Indiana, o Zetazini? Yon nom ki te marye avek yon fanm, kite li, pap viv nan minm kay ak madam sa, aprale pase antr 8 a 10 an nan prizon pou aksyon madam sa. Fanm Aysyen sa ki rele Charlene Tabb touye yon ti kouzin li ki rele Marie Pierre. Li fè kombyen tan lape abise twa lot ti fanmil li. Madam sa deja nan prizon e yo estime ke li ap pase anpil tan nan prizon pou krim sa.